Redesigned with a smaller weave and new colour! 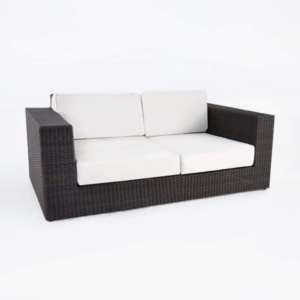 Part of our grandest collection of wicker deep seating; the Austin 3 Seater Wicker Outdoor Sofa is the go-to piece for comfort with a state-of-the-art edge. 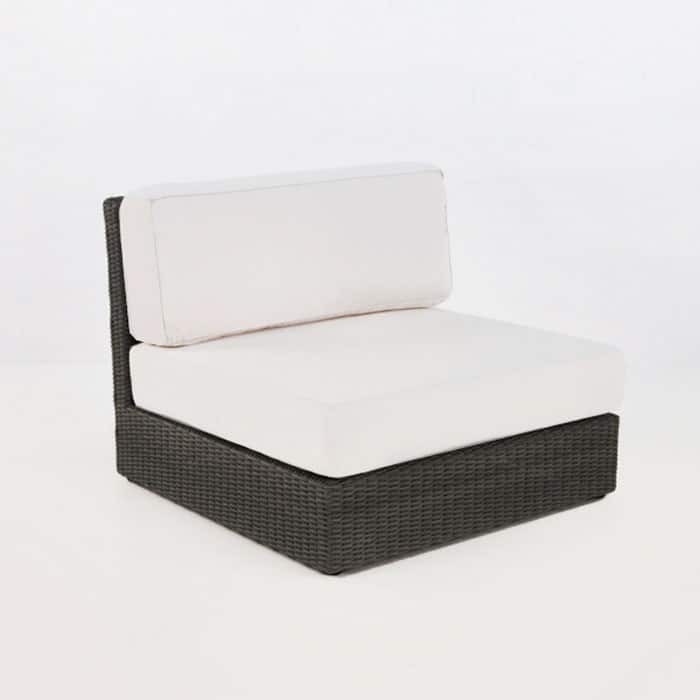 Cushion are included. Shown with Canvas cushions; also available in Taupe. 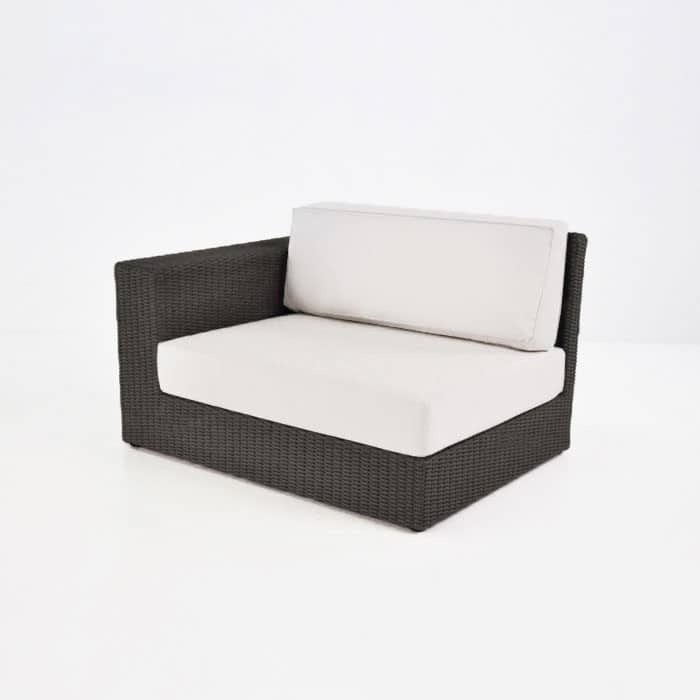 The Austin Collections expression is handsome and stately; with strong lines, a deep seat and a wide arm perfect for resting drinks, books or nibbles on. 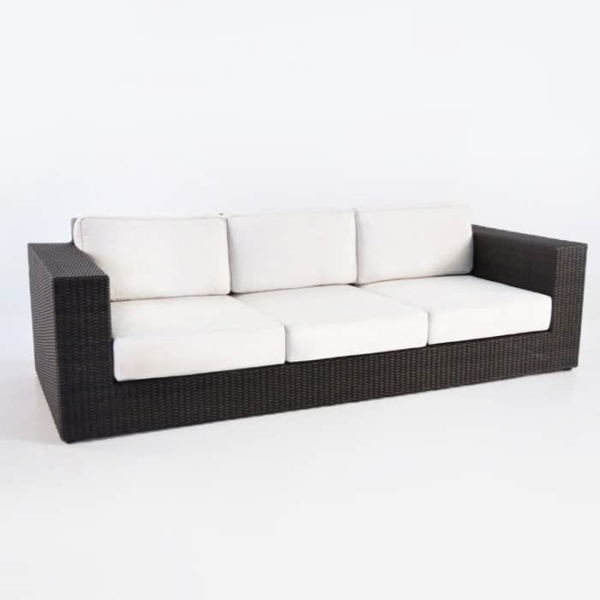 It features several fabulous pieces, so whether you wish to ‘go sectional’ or have lovely big pieces to enjoy; the Austin Wicker Outdoor Sofa design will cater to any space. The Austin Wicker Outdoor Sofa doesn’t disappoint in its grandeur; at a magnificent 240 by 90 centimeters sporting those sumptuous arms; we won’t blame you if you dive in and don’t get up! 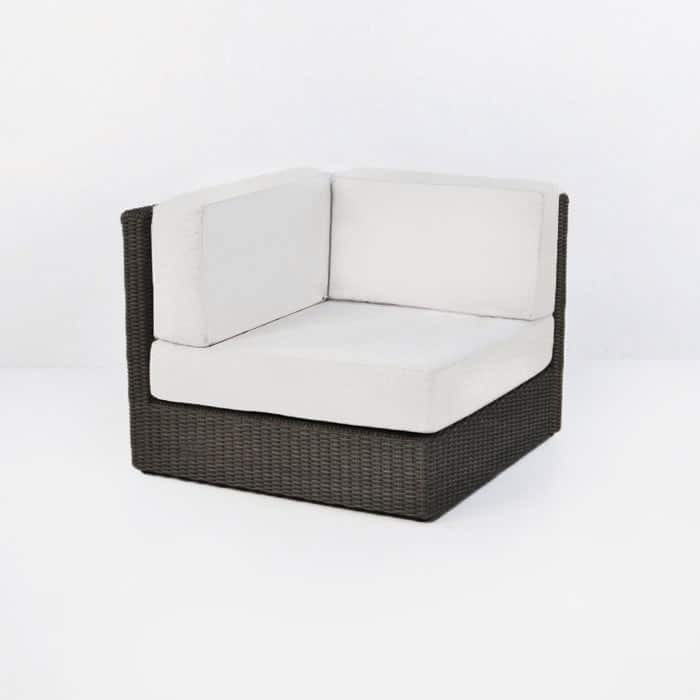 Pair up with the 2 Seater, an Austin Wicker Outdoor Chair and the Coffee Table for a polished look you will enjoy hosting gatherings or for a relaxing area for you and your family. 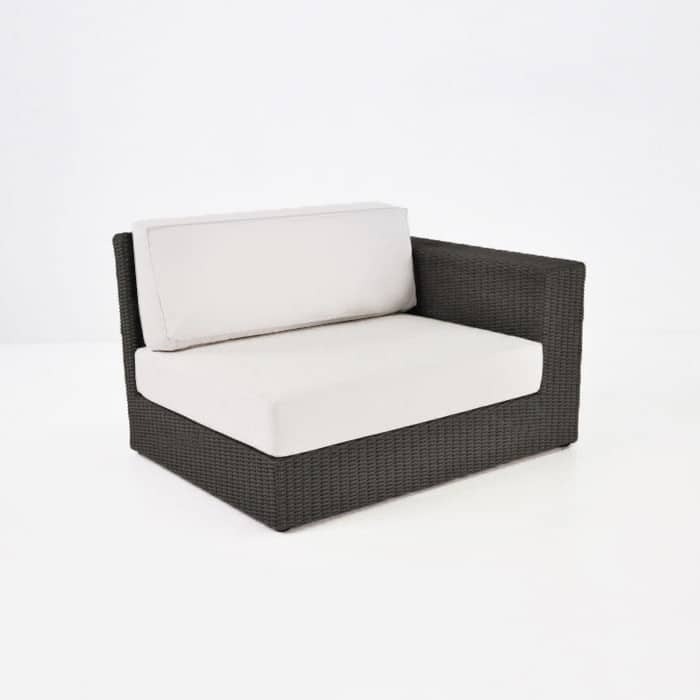 Made of the award winning, through-dyed Viro® wicker, and topped with Sunbrella® cushions with dacron wrapping over the ingenious Quick Dry foam; this is a collection that creates a luxurious, quality feel and look that will retain its beauty and comfort for many years to come! 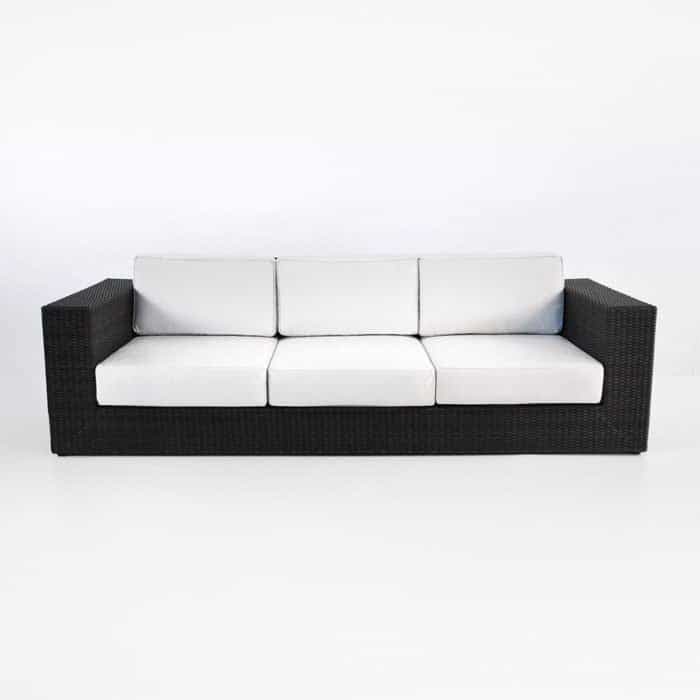 This Wicker Outdoor Sofa includes FREE deep Sunbrella® cushions. 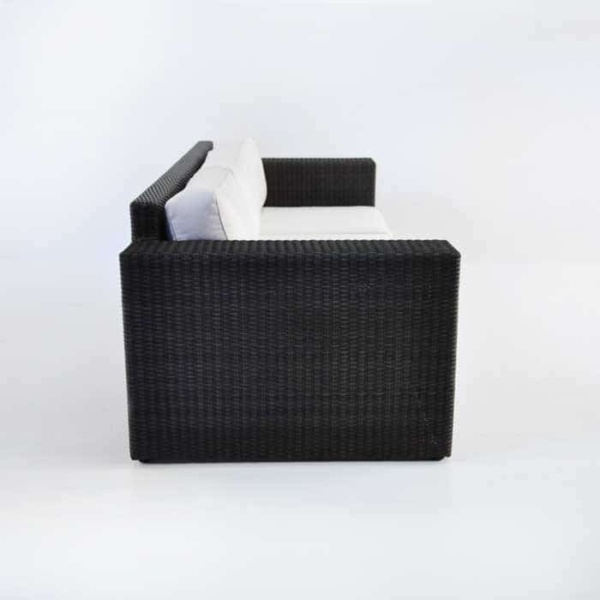 Wicker for this collection is available in Antique Java or Kubu. 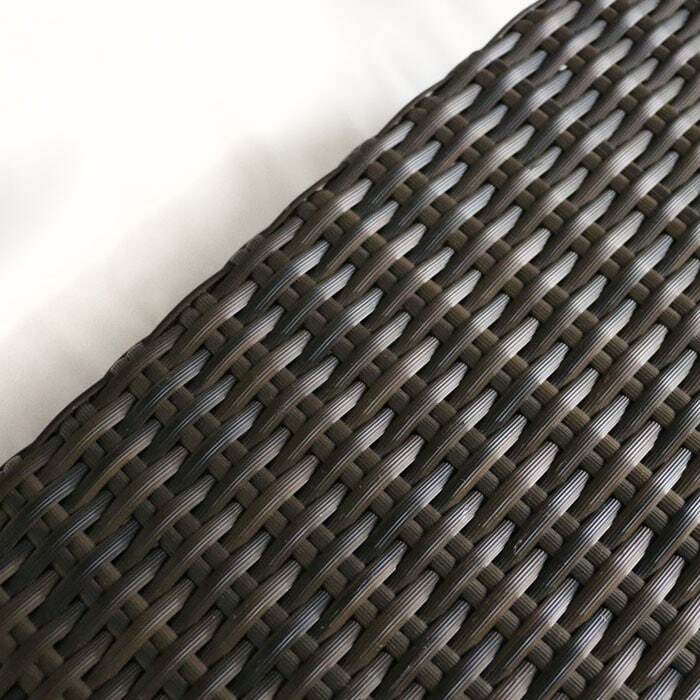 Colour shown is Antique Java.